Are you looking to hire a luxurious vehicle for your upcoming wedding? Then look no further than Exclusive Limousines. We provide premium quality vehicles for weddings at affordable rates to help our customers in celebrating their big day in vogue. Our luxurious vehicles can transfer your guests, friends and family on your special day conveniently and comfortably to the wedding destination. We assure you that all your guests will have a memorable experience with our Melbourne Limo Hire services. No matter, what kind of celebration you are planning to organize on your wedding day, you can be sure of finding the right Classic Wedding Cars for hire from Exclusive Limousines. Being the top and the best car rental service provider in Melbourne, we provide vehicles that could meet all your traveling requirements on your big day. At Exclusive Limousines, we have the objective of providing splendid traveling experience to the couples that could last in their memories forever. We facilitate brides and grooms in Melbourne to travel in their dreaming wedding cars at affordable prices. Our car rental service is backed up with the fleet of budget, luxury and premium vehicles and experienced drivers, so you can take pleasure in our comfortable and safe service. With our expert chauffeurs, you can add a touch of professionalism to your wedding party as well. Our Classic Wedding Cars are known for their tremendous combination of luxury, reliability and beauty. We provide wedding cars that can accommodate up to 18 passengers whilst ensuring plenty of room for the parties. With our Limo Hire Melbourne services, you can impress your guests by letting them traveling in style and comfort. We take pride in functioning as a home for luxurious wedding cars and in providing vivacious traveling experience to our clients. 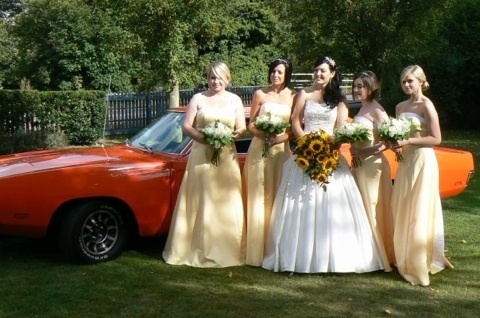 Why choose our classic wedding cars? Our wedding limo hire service is backed up with professional and experienced chauffeurs. We provide comfortable, safe and affordable limo hire services for wedding. Hiring wedding car services from a professional company like Exclusive Limousines benefits the couples a lot. Besides enjoying comfortable traveling experience, you can add a touch of elegance and uniqueness that can make your wedding more special and memorable. Moreover, you can please your esteemed guests by shuttling them in a luxurious manner. To hire luxurious wedding cars, give us a call today!